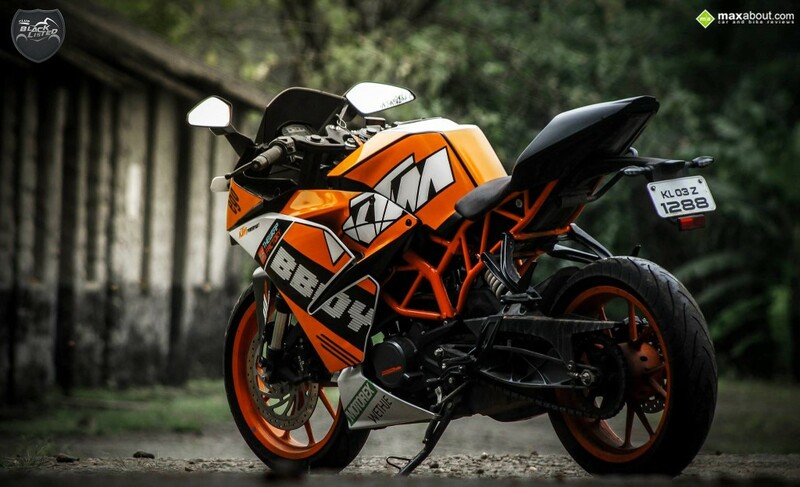 KTM RC Series has became the most loved machine for modification by artist all around the country. 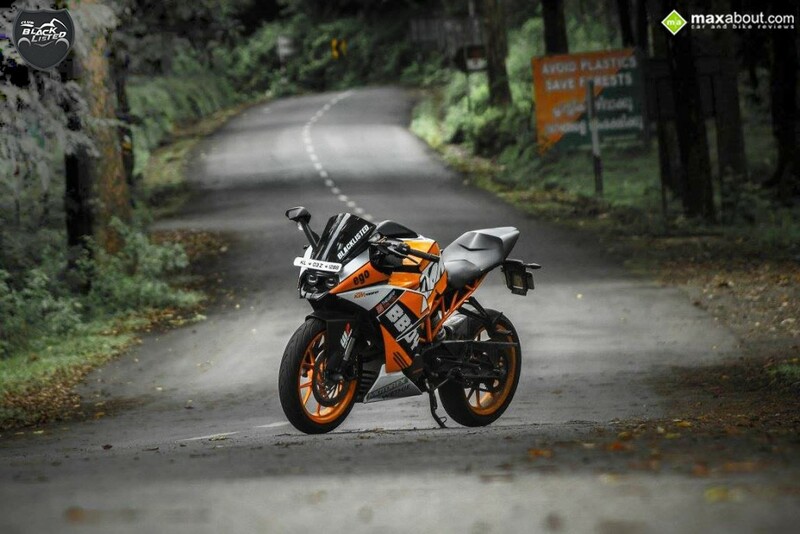 One of the most attractive RC200 on the road was recently shared with Maxabout by its owner, Christy Ben from Kerala. The one of its kind custom wrapped RC200 BBOY will bring a big smile (actually even bigger than just a smile) when the actual cost of the customization will be revealed at the end. 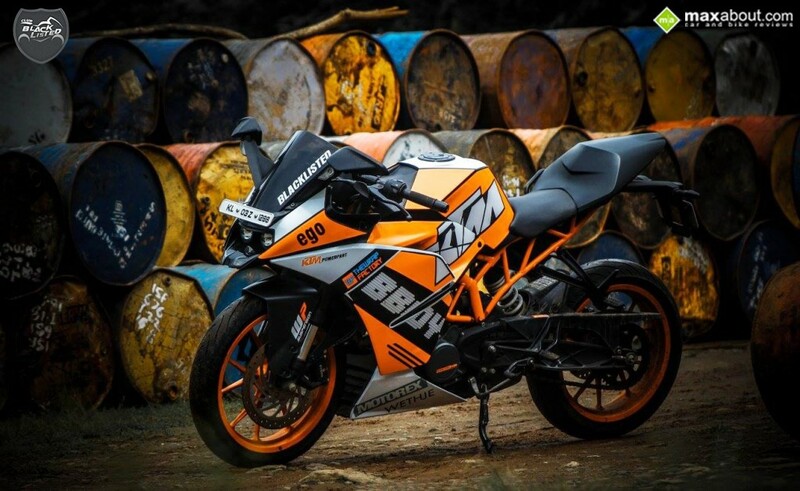 The motorcycle carries no mechanical changes, thereby saving your KTM from warranty issues in the later stage. 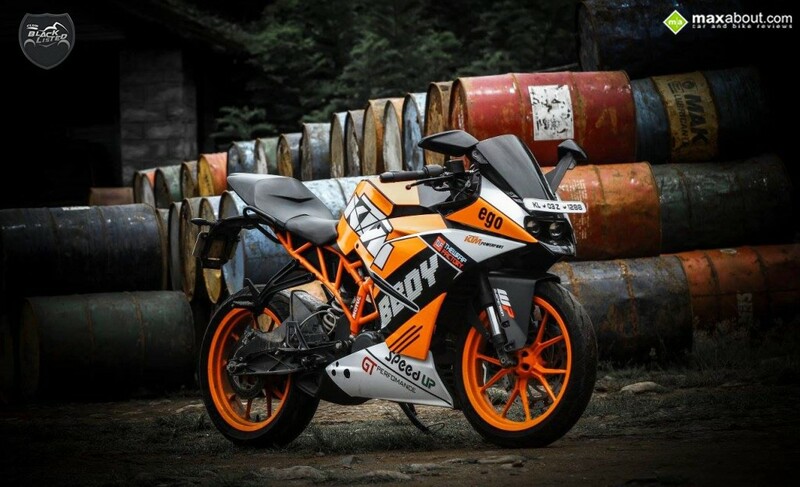 The front fairing gets Glossy Black, Orange and White combination while the side fairing is dominated by Orange fuel tank and frame. 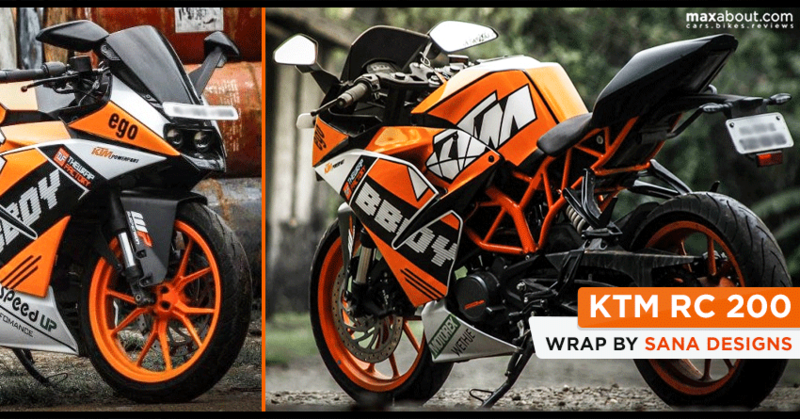 The BBOY logo has been finished within a black stripe while the huge KTM logo flaunts the sharp edgy characters in White. The default fuel tank creases have been highlighted by keeping space between two wrap sections. The top of the tank and the lowest faired section are finished in White. 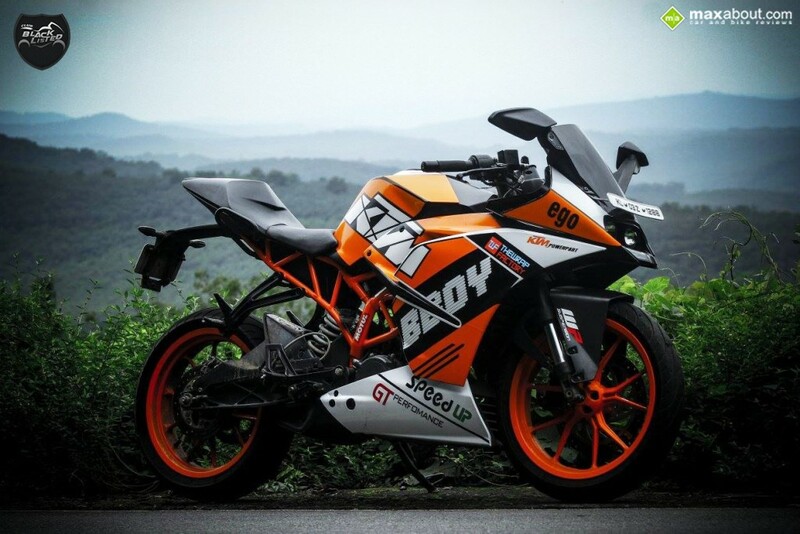 The motorcycle has all of the effective graphic work on its body, resembling a SuperSport MotoGP machine from its finishing and logo selection. Christy Ben thanks Club Blacklisted from Pathanamthitta for their support on the modification. Now, the most awaited information about this RC200. According to the owner, it took just INR 3000 and 4 days of work to complete the 5 sticker layers on the motorcycle. The project was undertaken by Sana Designs and Dork Arts of Pathanamthitta, Kerala.